Although you may be aware of chiropractors, you may be unaware of what they do. You may want to know why heading to your Bonita Springs, FL chiropractor is a great idea. What benefits does chiropractic offer you? Perhaps the easiest way to describe chiropractic care is by using a car analogy. Owning a car calls for routine maintenance to make certain that it continues to run efficiently. In addition to occasional check-ups, sometimes you may have to take it in for repair service, for example when a part starts to malfunction or after a crash. This is not all that different with your body. Pro-actively taking care of yourself is the best, but sometimes you have an accident (like a sports injury or an auto accident) and you must go to a health practitioner to get your body back in good shape. Of course, you can't replace your body when it's broken.. With your body, there's no going out to get a newer one or trade it in when the damage is too costly. So, keeping your body in top condition ought to be a goal if you expect it to look good and run smoothly well into your golden years. Because a chiropractic physician is concerned with spinal health, getting regular care will allow you to obtain and keep good health. It will decrease your odds of developing back and neck pain that can lessen your quality of life. Chiropractic also keeps your body running as smoothly as possible. The spinal column protects your spinal cord which channels communication between your brain and all of your organs, muscles, and tissues via the spinal nerves that extend into all areas of the body. 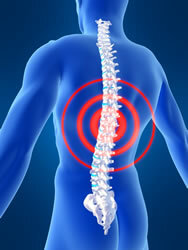 So, if you have a spinal misalignment, other parts of your body are affected. Since a spinal misalignment upsets the central nervous system, other systems — like your digestive, respiratory, or reproductive systems — may not work smoothly either. So make seeing your Bonita Springs, FL chiropractor a priority. Call (239) 495-1166 to make a consultation with Dr. Green today. You'll be in good hands – regardless of whether you’re just in need of maintenance or need repair service!